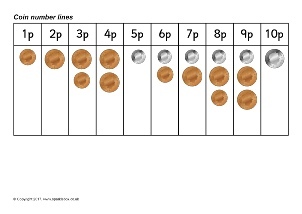 Two printable number tracks from 1p to 20p, showing the best coin combinations to make each amount. 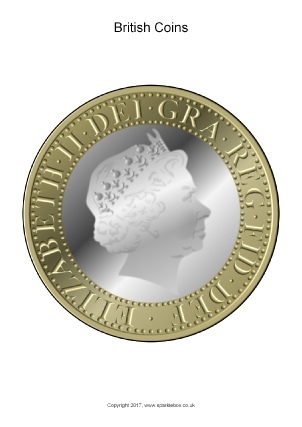 A set of A4-sized British coins that can be printed and laminated. Includes heads and tails images that can be fixed together back-to-back to make large-sized coins. 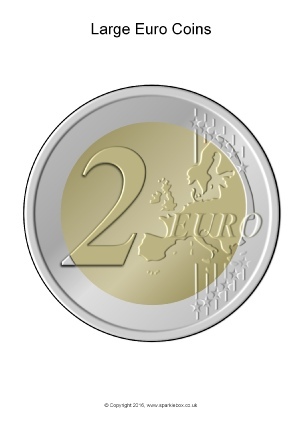 A set of A4-sized Euro coins that can be printed and laminated. Also includes the PNG images for use in your own resources. 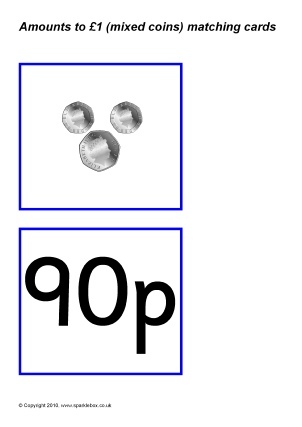 A set of printable follow-on cards featuring sets of coins with amounts up to £1. Great for a whole-class game where one child calls out the start card and the pupils then match/call out the corresponding cards until the game ‘loops’ back to the original child. 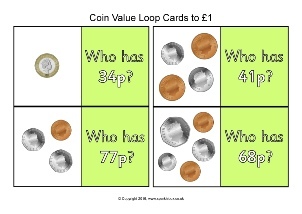 A group of mixed coin cards with amounts to £1 along with value cards for matching games. 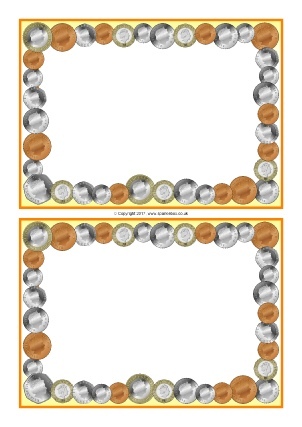 Simple printable A5 card borders featuring coins. 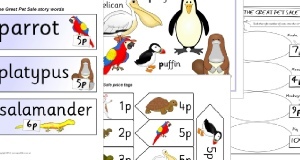 Great for creating your own money-related activity cards for pupils. A colourful banner for your ‘Money’ display.